The timber I got from my local reclaimed timber yard. 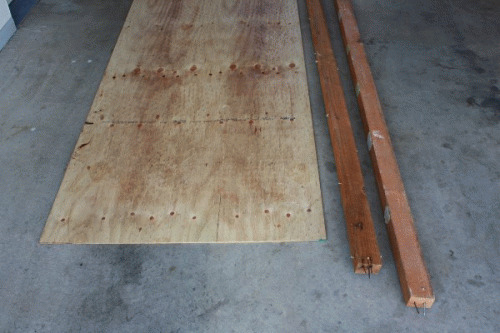 A sheet of three ply and some 3x2 framing pine. You can see the nails and gyprock glue still on the wood. I ended up needing another length of 3x2, this was one of many trips back to the yard and hardware shop. Part of the joy of these projects. I started with the bed posts. The height was arbitarily based on what I thought would be good for my daughter to get in and out of. These are just dowled and glued. 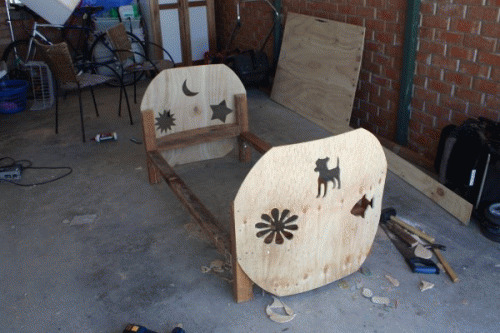 The curved timber is for shaping the three ply later on. 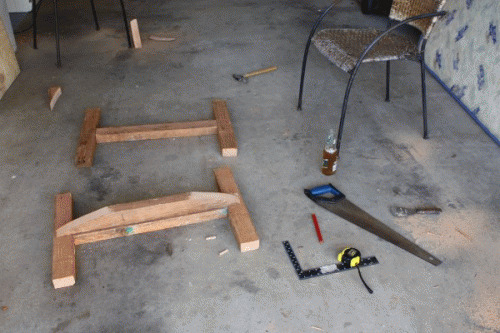 You might be able to make out my key workshop tools, a hammer, saw, right square, and beer. These are the bedheads. I did a circle from the centre of the ply with a pencil tied to a fixed length of string. 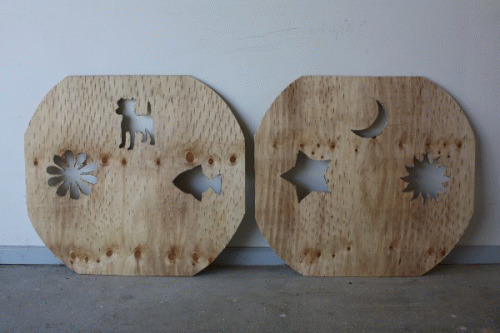 I then used printouts from the internet to trace designs and cut them out with the jigsaw. I then screwed and glued the ply to the curved bedhead. The bedheads were joined; the length determined by the cot mattress size. I put in some shaped ply on the sides. Gave it an undercoat and then this "lovely" pink and orange/yellow combination. These are non-toxic oil based paints. The cot slats and mattress will fit right in. I will update you with a photo when we make a move from the cot. Sorry Lisa, this was just a one off bed I made for my daughter. You might be able to commission someone to do one. A local Mens Shed or something. This is awesome :)! 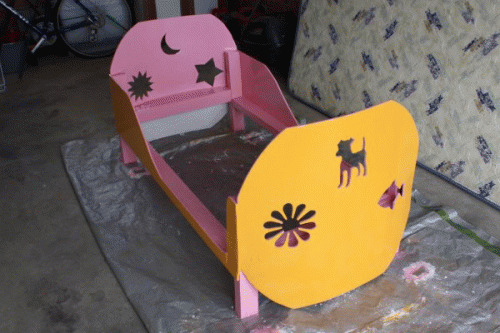 I am going to put my hubby to work for our little girls proper bed. What a fantastic thing to do for your little girl! Congratulations.